Malaga is definitely a summertime destination. I’m just going to throw that out there. It’s not that it wasn’t lovely in January, too, but you can just tell that it has to be ten times nicer in July. But still, despite the fact that it was rainy and definitely not warm, it was a lot less cold than Baeza, and I welcomed the increase in temperature, even if it was small. The best part about the trip was the food, as it normally is during my travels. There wasn’t a TON of stuff to do, but there was a great bar/restaurant on every corner, and even though they don’t do the free tapas deal that you get in Granada or Jaén, the prices were reasonable. Seafood was the specialty, particularly that of the fried variety, and oh my god it was fantastic. 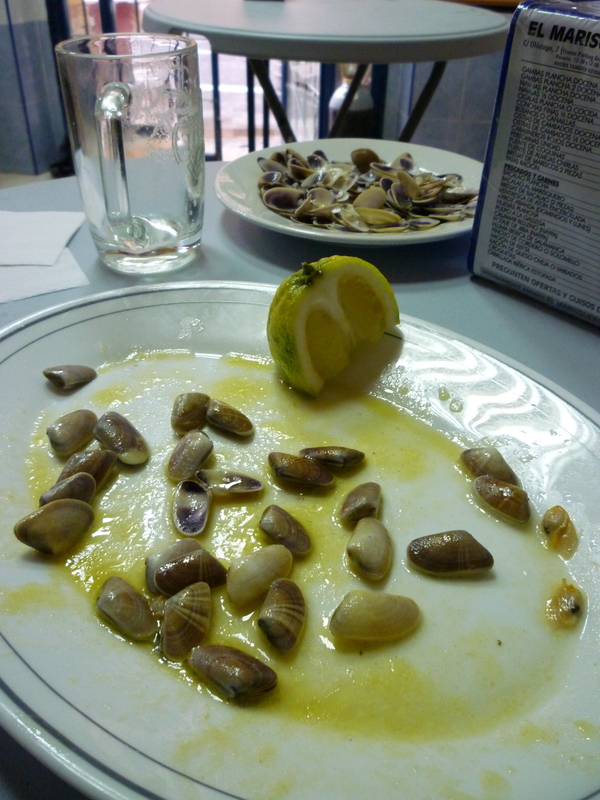 My favorite for the fried stuff was Pepe y Pepa where we indulged in just about every form of fried sealife available. But the real standout was a little place that we found while somewhat lost, called El Marisquero. We went to the location across from the Mercado Central. We went in because it didn’t look like it was very touristy and it was rather hole-in-the-wall ish. It had huge roll up windows so the kitchen was pretty open to the sidewalk, and the tables (that did not have any chairs) were all mismatched and pretty ugly. But wow the food!! 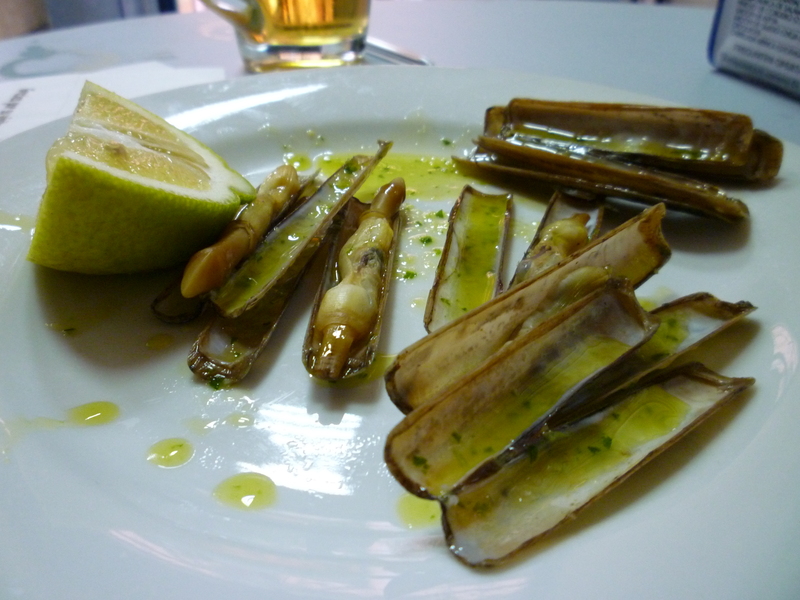 Razorshell clams, or navajas in Spanish. They are hideous and look like they belong on a hook or squirming through dirt and not on your plate, but they were amaaazing in all their oily garlicky lemony goodness. While we were eating these, a street performer came in and started playing flamenco guitar and singing. Pretty standard. But then! El Marisquero, the genius who had been cooking us all our shellfish and making recommendations, started singing. The guitarist accompanied and Marshal and I and the one other Spanish couple in the tiny little restaurant got a rather lovely little performance. Then the street performer demanded a euro from everyone which took some of the charm out of it, but it was still very, very Spanish. All in all, I liked Malaga. I had churros and wonderful chocolate every day from Cafe Madrid which has been around for over 100 years and seems to know how to make a churro. The Picasso museum was not as cool as the one in Barcelona, but it was nice (and free with my carnet joven! 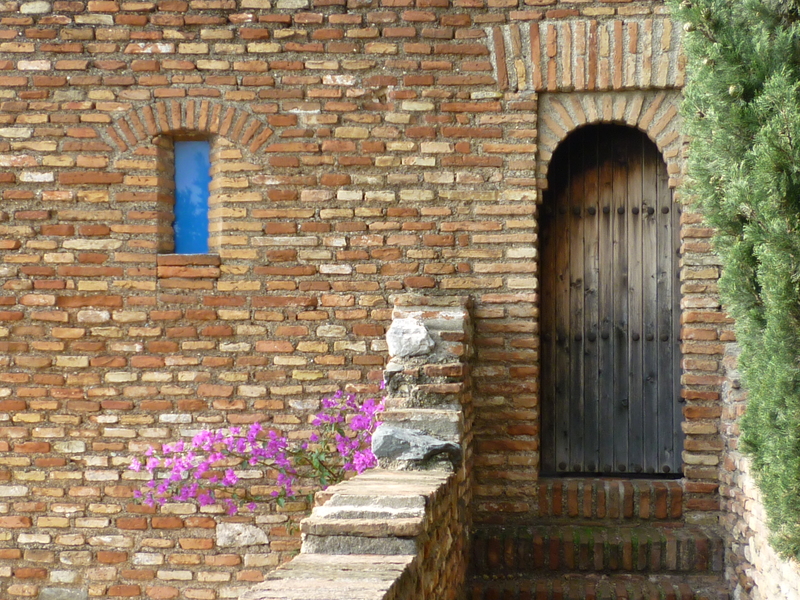 ), and the Alcazaba (the fort/palace/castle thing) was fun in that it felt very open. Unlike the Alcazar in Sevilla or the Alhambra, you could walk all over the place, stick your hand in fountains, climb on the walls, etc. It wasn’t as spectacular, but I really liked it for what it was. I wish we had had more time to walk around there. 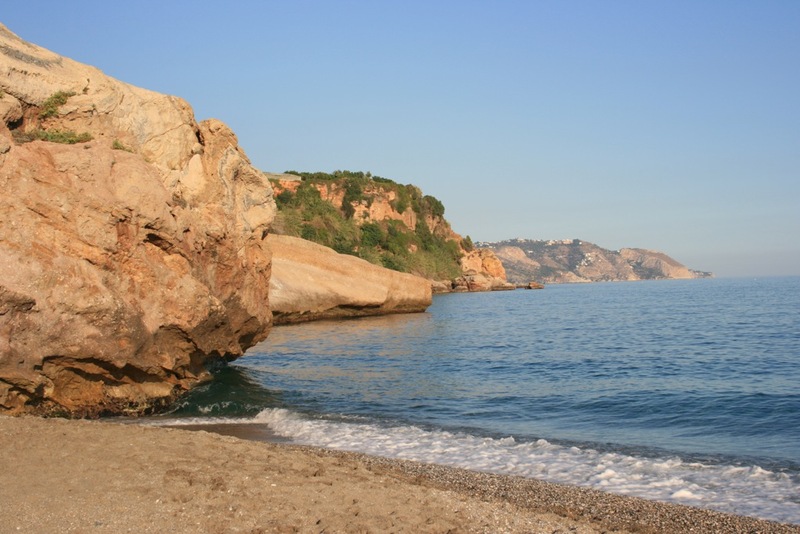 If I was going to be around longer in Andalucía, I would definitely head down there during the warmer weather cause it seems like it would be a LOT of fun with the beach and so many bars and restaurants. Maybe next time!